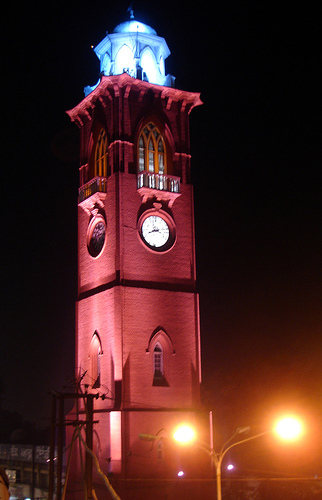 This clock tower was inaugurated on 18 October 1906, as Victoria Memorial Clock Tower by Sir Charles Mintgomery, Lieutenant Governor of Punjab at that time along with Dewan Tek Chand, Deputy Commissioner of the city. But during the Chief Ministership of Sd. Giani Jail Singh, on the persistence demand of Jain Samaj, its name was changed as Bhagwan Mahavir Clock Tower.